Austin Eguavoen needs no introduction considering his position as former captain and coach of the national team, the Super Eagles. Eguavoen’s best moments as a footballer will certainly be as match day captain when Nigeria won the Tunisia ’94 Africa Cup of Nations. Like every footballer, he switched to the dugout after hanging his boots. 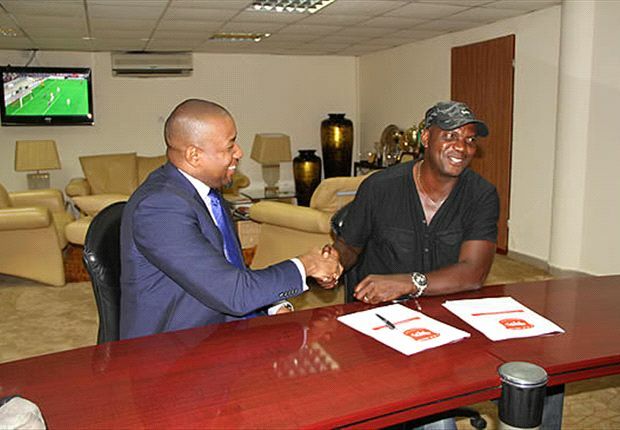 In fact, he entered the history books as the first player from the glorious 1994 Afcon winning squad to coach the Eagles and his move to Sunshine Stars made him the only player from that set managing a team in the Nigeria Professional Football League. However, the celebrated defender has experienced endless troubles since becoming a coach. Against all expectations, Eguavoen left struggling Sunshine Stars after five match days. In this report, naijaleaguez.com.ng chronicles Eguavoen’s many troubles as a coach. Eguavoen worked as assistant to head coach Christian Chukwu at the 2004 Afcon and was elevated after his boss failed to win the title. For two years, he was head coach and led the Eagles to a poor outing at the Egypt 2006 Afcon. Like his former boss, Eguavoen lost his job. As coach of the Under 23 team, Nigeria failed to qualify for the London 2012 Olympics. The former Nigerian International resigned after the team’s failure to qualify in Morocco. In a resignation letter, Eguavoen cited the qualifying failure for the London Games as his reason to quit. Eguavoen started his career as club coach with Enyimba in 2009. 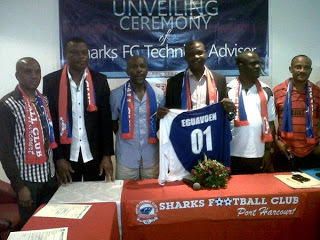 Although he lost the domestic title in his first season, Eguavoen made instant impact in the Federation Cup win victory over Sharks. After his Cup success in 2009, Eguavoen left Enyimba for a coaching course. 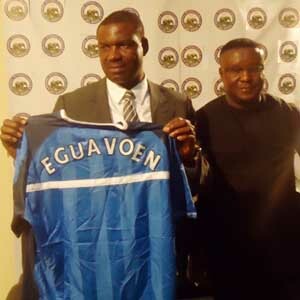 Eguavoen returned to Enyimba to begin a second spell in February 2012. However, this turned out to be turbulent as he had a running battle with the club management. Amazingly, by July 2012, the ‘marriage’ between club and coach was dissolved. Before he exit, the former Super Eagles captain and coach was suspended by the club. Back in October 2012, Eguavoen returned as head coach of Sharks. 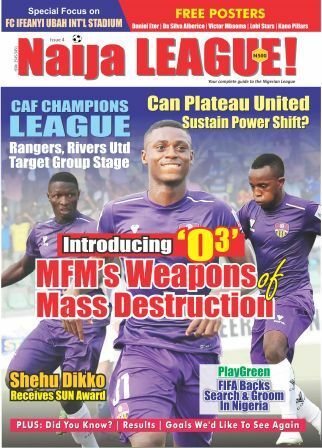 Unlike his initial success with Enyimba, the romance with Sharks sooner than expected. Promises made to win the League and Cup were unfilfulled. Eguavoen’s reign as Sharks’ boss has been dogged with controversies from day one. Interestingly, this reached an all-time high when he refused to lead his team to League opener against Warri Wolves but was sighted at Owerri watching home side Heartland play Nembe City at a time his club was playing at home. And in March 2013, Eguavoen left the club under cloudy circumstances. The celebrated defender eventually left due to a string of poor results following loses to Kwara United, Kaduna United and Gombe United, respectively. For the first time since taking a role in the dugout, Eguavoen moved down to the second tier league as head coach of City of David United in what was likened to a ‘coup’. To many, it was a wrong move but the former Nigerian International defended his decision to work in the lower division. "I actually see this as a great move for me. This is a hugely ambitious club. It is well run by intelligent people and all the structures even the so called premier league clubs lack are all in place here. I am definitely positive this is a good move for me and I am sure come end of the season when we gain promotion, I would be proved right,” he said. Promotion wasn’t achieved and Eguavoen left the club. The former Super Eagles gaffer returned to the second-tier league for the second time as head coach of home town club, Bendel Insurance, in 2013. Attempts to return the team to the top flight proved unproductive due to the poor funding of the club and he left for greener pastures. Unveiled at a time Gombe United were placed 19th on the 20-team Glo Premier League table with 20 points from 19 games, Eguavoen promised to salvage their top flight status following the exit of Maurice Cooreman. Despite his efforts, the club dropped to the lower division and for the third time the former Eagles coach had to work in the second tier league. The former Nigerian International resigned after a futile attempt to return the Gombe side to the top flight. For the fourth time in his career, Eguavoen moved down as head coach of Akwa Starlets. The move to Uyo turned out to be uneventful. Austin Eguavoen tried his luck again when he was contracted by struggling top flight side, Sunshine Stars, ahead of the second round of the season. Despite promising to fulfill his short term contract, Eguavoen walked away from the club after losing 1-2 at home to table topping Plateau United. 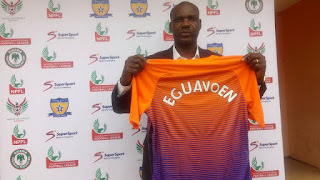 Eguavoen lasted just five match days as Sunshine Stars’ supremo with two wins and three defeats, including two at home. Interestingly, he made his debut with a victory over champions, Rangers. Secretary of three-man Committee managing the club, Elder Mike Adeyeye told the News Agency of Nigeria (NAN) that Eguavoen left due to what he described as “frustrating performance of Nigerian referees”.